You’re engaged in a job search and things have slowed to a crawl. You’ve done everything you know and no results. Don’t panic. There are practical steps you can take that can re-ignite your job search and get you back on track. In this multi-part posting we will discuss some practical steps you can take to re-ignite a stale job search. Learn something new. This may not sound like a tactic to re-ignite a job search, but it is…..and, it’s a big one. You need to stimulate your mind with new information. Identify a professional designation and start the work to achieve it. If you need to improve your technology skills, now is the time to do it. Whatever you learn stimulates the mind and when completed, can differentiate you from other job seekers. Read up on job search techniques. Could you learn something that could open the door to more opportunities? Many job seekers find renewed energy and a more optimistic outlook on a stale search when they begin learning new things. You feel better knowing you are doing something to move your job search forward. This is the last installment of a multi-part posting discussing how to start a job search. Previous posts have discussed your emotions when starting a job search, getting organized, creating a short list of target employers and networking contacts, and updating your resume and LinkedIn profile. Create job alerts. Use websites like Indeed.com and SimplyHired.com. You can choose to be alerted about titles, locations, specific companies (your short list), and so on. Set up alerts on LinkedIn too. Companies (and recruiters) post jobs on LinkedIn and you can receive notifications when they do. Are there any industry-specific or niche job boards you could search? Get a sense of the job market, and start the flow of opportunities you are looking for. If a position pops up, and you’re interested, do not apply for it through the website! Research the likely hiring executive(s) and contact them directly. Starting a job search can easily be overwhelming, especially if you didn’t expect to become unemployed or need to find a new job. If you follow the steps outlined in these series of posts on Starting Your Job Search, you will be able to successfully launch your job search and reduce any feelings of anxiety. This is the next installment of a multi-part posting discussing how to start a job search. Previous posts have discussed your emotions when starting a job search, getting organized, creating a short list of target employers and networking contacts. This post will discuss updating your resume, LinkedIn profile, and expanding your network. Update your resume. Update your resume. Either prepare one yourself, or seek professional services (which will free your time for other job search activities). If you have an out-of-date resume, having your resume professionally done could be a good investment. Update your LinkedIn profile and expand your network. Update your LinkedIn profile. Make sure your resume and LinkedIn profile are in sync with each other. Most importantly, your former employers and dates of employment must match exactly. Make sure your profile is complete, optimized, and compelling. Work towards expanding your network by adding one hundred new connections (it’s not as hard as you may think). 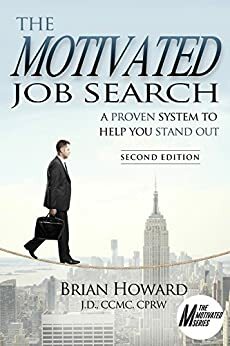 Make them the right kind of high-value connections that will significantly advance your job search (people that can hire you or help you or both). This is the next installment of a multi-part posting discussing how to start a job search. Previous posts have discussed your emotions when starting a job search, getting organized, and creating a short list of target employers. Create a short list of networking contacts. Just like the list of companies from the last step, make a list of close, professional colleagues you feel very comfortable speaking to about your circumstances and job search. As you think of more, add them to the list. This list is unlikely to exceed twenty to twenty-five names to begin with (although it could be more). After you make out the list, do not contact them! You are not ready (even though you may think you are!). Regardless of your business or personal relationships here, don’t “blow it” by not being properly prepared. Patience. Get prepared and know what you want to say before reaching out. © 2015 Brian E. Howard. All rights reserved. No part of this post may be reproduced in any form or by any means, electronic, mechanical, digital, photocopying, or recording, without the expressed written permission from the author.